Radical environmentalists have occasionally argued that the life of one member of an endangered species is worth more than the life of one member of the human race. Judging by the money it is spending on the Mexican wolf reintroduction program, federal and state governments seem to agree with this extremist viewpoint. Since the Mexican wolf reintroduction program was launched more than a decade ago, millions of dollars have been spent by the United States, Arizona and New Mexico governments. The goal was to reestablish a target population of 100 wolves in the mountainous areas of southwestern New Mexico and southeastern Arizona. By December 31, 2008, all the agencies participating in the reintroduction program—the U.S. Fish and Wildlife Service, the U.S. Department of Agriculture, and the New Mexico and Arizona game departments—estimate they had spent over $18.1 million in this effort. By the end of 2009, these agencies estimate that their total expenditures will be just under $20.5 million. Their exact projected figure is $20,479,088. And, of course, it will be higher ever year in the future. 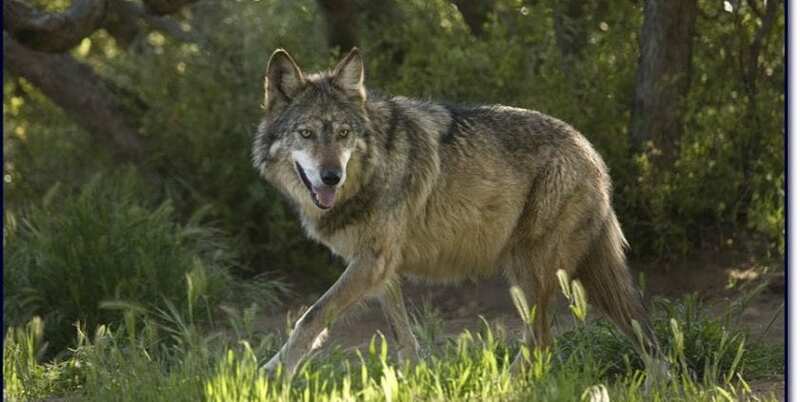 According to the USFWS’ 2008 year-end survey, only 52 wolves were roaming the Arizona-New Mexico reintroduction area. Twenty-nine of these were wearing radio collars. Another 23 un-collared wolves were documented through visual monitoring and reporting. A simple calculation shows that government spending on each wolf is just short of $400,000 ($393,828 to be precise). But the actual sum is higher.. The wolf reintroduction program does not include in its inter-agency expenditures the money spent by local governments responding to wolf attacks on livestock and pets, or threatening humans. Further, the actual wolf population as of June 30, 2009, has dropped with the loss of three radio-collared wolves, thus raising the per-wolf government expenditures above $400,000. That figure continues to rise each year as millions more (approximately $2.3 million a year) are spent on a program that is not producing increasing wolf numbers. These figures also do not include the private costs of the wolf reintroduction project. Since its inception, wolf attacks on livestock and pets have stirred anger and controversy in the impacted communities. The exact losses to the agricultural industry have not yet been accurately tallied for the life of the wolf-reintroduction project. The last effort to calculate those costs was in 2005 and was subject to criticism by ranchers that the program was seriously underreporting livestock losses. The costs of pet losses—numerous attacks on dogs and horses, requiring sizable veterinary bills—have never been totaled. Wolves Worth More to Government than Humans? In response to the terrorist attacks on the World Trade Center and the Pentagon, Congress passed the 9/11 Victim’s Compensation Act. This law set the intrinsic value of a human life at $250,000. Higher sums were paid to compensate families for the lost incomes of a love one killed in the attacks. But the value of a human life itself, without regard to that person’s ability to earn money, was set at $250,000. At $400,000 a wolf and rising, government is valuing the intrinsic value of each wolf more than its values the intrinsic value of human life. Residents in the affected areas have frequently complained that the government seems to care more about “El Lobo” than the human residents who must live with these powerful predators. With these figures, they can now point to government’s excessive and endless spending on wolves to prove their point.